What If You Could Show Your Clients How Successful They Will Be During the Session? When Clients Recognize Success Early It Can Increase Referrals… Here’s How! Subscribe Now and Get All My Free Videos Instantly! I am back and I’m excited to share this video with you! Erika and I let you in on some real “insider info” that usually only those certified in 5-PATH® Hypnosis and Hypnotherapy ever learn. Now scroll down to get the insider info on this video! In this video you will learn these insider techniques and how to use them! Begin with clarity with your client on what you are working on. Use hypnotic techniques that provide your clients with insight. Powerful use of the Segue, utilize hypersuggestibility. Demonstrate the change by using age progression work. Find out how they did in the next session. Recognize your client’s success in the next session. Remember to subscribe Now and Get All My Free Videos Instantly! And if you like, I can send you a quick note to let you know when new videos have been added. 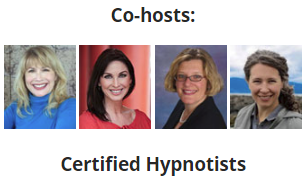 You can get 5-PATH® Hypnosis Certification from Cal Banyan, Erika Flint and from other authorized “Banyan Certified” trainers around the world.. 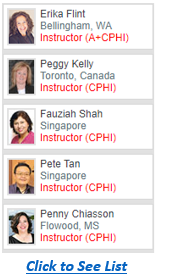 List of Banyan Certified Trainers. You can get 5-PATH® Hypnosis Certification from other authorized 5-PATH® trainers like Erika? List of instructors can be seen here. List of instructors can be seen here. Have You Ever Wished That You Could Get Live Hypnosis Sessions with Cal? Schedule a complementary phone consultation now so we can make sure that online sessions are right for you. 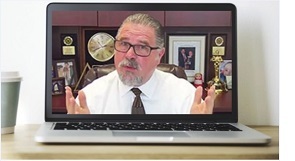 Get Your 5-PATH® Training Started Right Away – Live or by Distance Learning! Get started now by clicking the links below! Learn at Home – Get the 5-PATH® Distance Learning Course (for certified hypnotists). Learn at Home – Complete hypnosis certification distance course with 5-PATH® (no experience required). Live Training – 5-PATH® Certification at our Center In Dallas! (in person with Cal). Would You Like to Have Instant Access to All My Free Hypnosis Training Videos? Click to Subscribe Now & Get All My Free Hypnosis Training Videos! Get your instant access to over 500 free hypnosis training videos like this one! 100s of questions answered in a fun and educational way. BEST SUPPORT AFTER GRADUATION – NO ONE DOES IT BETTER! Whether you become a 5-PATHer by training with Cal Banyan, Erika Flint or any of our other instructors around the WORLD! A 24/7 online support group. Email support when you have questions about the business. Phone support for questions about doing the work. Quarterly Journal by 5-PATHers for 5-PATHers filled with information you need to grow as a professional. Monthly live teleseminar support with me for all 5-PATHers – ask me about anything. “Radio” Channels Program where all 5-PATHers can create audio programs to share their insights and knowledge. “Gold In for Gold Out” pages in the Members area where 5-PATHers recommend non-hypnosis resources that have contributed to their success such as books, podcasts, etc. Actual videos of me doing the work so grads can see how 5-PATH works with real clients. Optional study materials that can be purchased such as audio, video programs and books that reinforce and expand on what was included in the initial certification course. 5-PATH® Community who regularly supports each other and attends events like the NGH Convention and Solid Gold Weekend together. Real Feedback from Real Graduates! I personally would rate Cal as the No. 1 training venue for Hypnosis, best training event I have had ever, and fun, enlightening and life changing, and exceptional value for money. Jason Carter, Ph. D., LLM, Milton Keynes, U.K.
See graduation class photos and more student feedback.. Remember to Become a VIP MEMBER OF THIS SITE – It’s FREE – Instant Access to ALL the VIDEOS – and get notified when new videos are published. 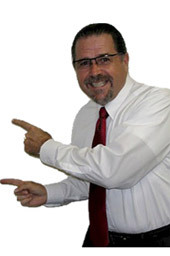 Click Here Now. This year marks our 22nd Anniversary of being full time in this wonderful profession. During that time, my wife, Maureen and I have had the privilege to work with so many wonderful people including clients, students, graduates around the world and other hypnosis professionals.